This is the Jeep Wrangler LJ Unlimited build that brought the GenRight Tracer Suspension System into existence! It has 4500 Class race proven suspension geometry with a 600HP Chevy LS power plant that can put the power to the ground through 40" tires on an ideal 115" wheelbase. Pictured above with Currie Rock Jock axles, KMC wheels, King IBP shocks, GenRight roll cage, Warn winch, aluminum half doors and all Aluminum GenRight armor. 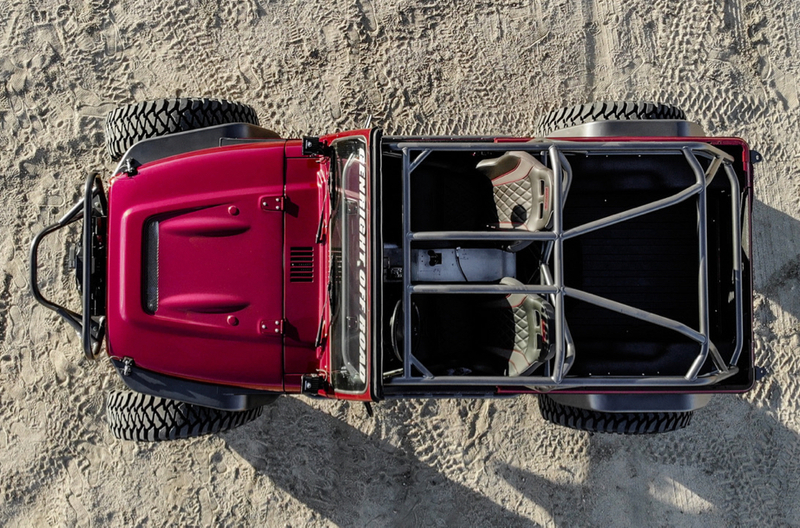 This Jeep was built with both hard and soft tops and full and half doors painted to match. Here you can see the aftermarket Hi-line hood, roll cage, Quick release steering wheel, Simpson seats and LineX'd interior. Here you can see how little the roll cage obstructs the view out the front windshield. The Jeep also has VisionX Votrex LED headlights, PSC hydro assist steering and Baja Designs A-pillar lights. 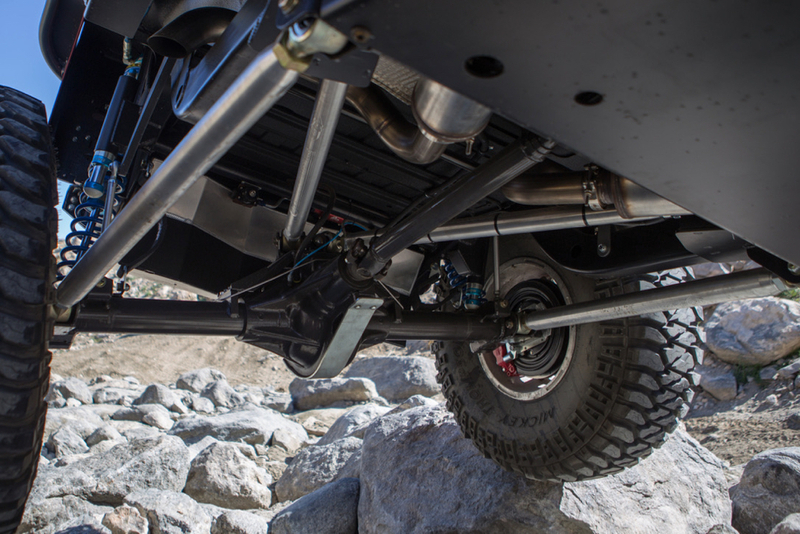 14" travel King IBP Coil Over Shocks allow this Jeep to predictably and confidently flex it's way down any trail! Tony test driving the Maximus LJ at the Hammers! Here you can see how "planted" each tire is while articulating over trail obstacles making the vehicle feel stable. Alcon brakes and a GenRight 23 gallon fuel tank with heavy duty skid plate are tucked under the rear. Notice the tiny rear-view camera and LED back up lights frenched into the high clearance rear bumper plate. 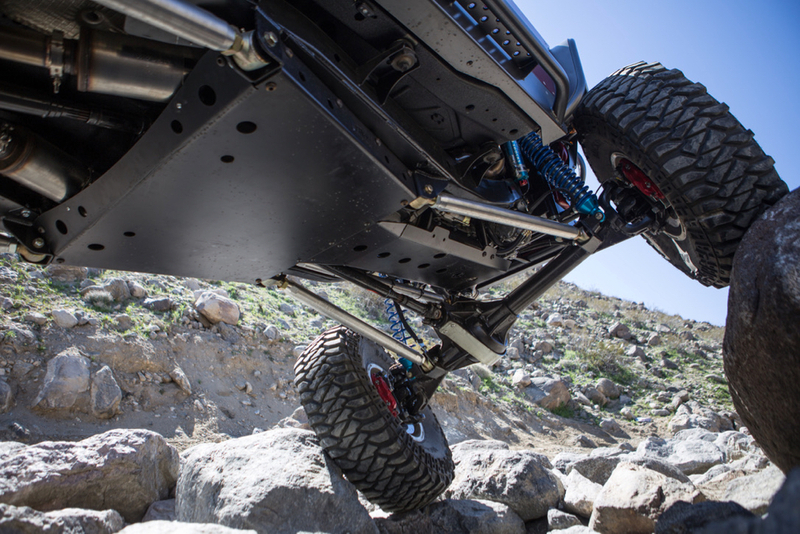 A full flat belly skid plate protects the underside from damage on the trail. High pinion axles keep the drive shafts tucked way up out of harms way too! 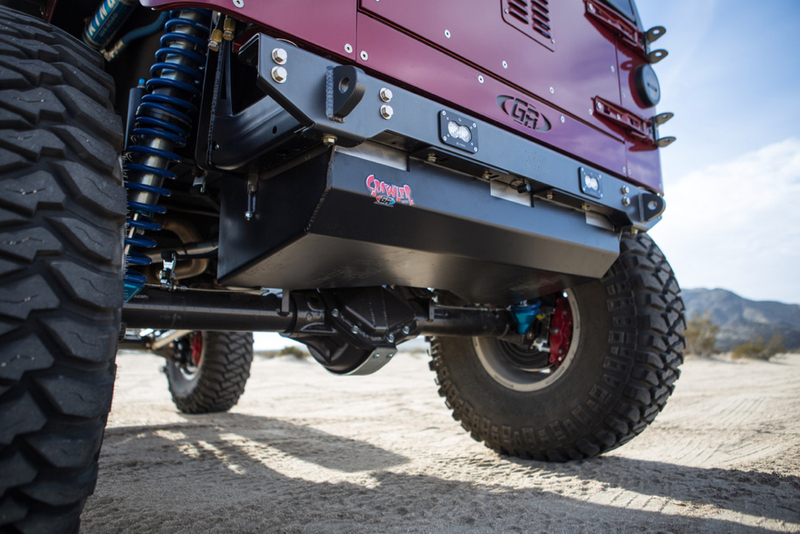 GenRight 4 link rear suspension uses Summit Machine 7075 Aluminum control arms to hold the high pinion Currie Rock Jock rear axle under the Jeep. Here you can see the GenRight EXT rear flares are bolted to the light weight aluminum rear corner guards, flush mounted LED tail lights and Scosche rear-view mirrors. 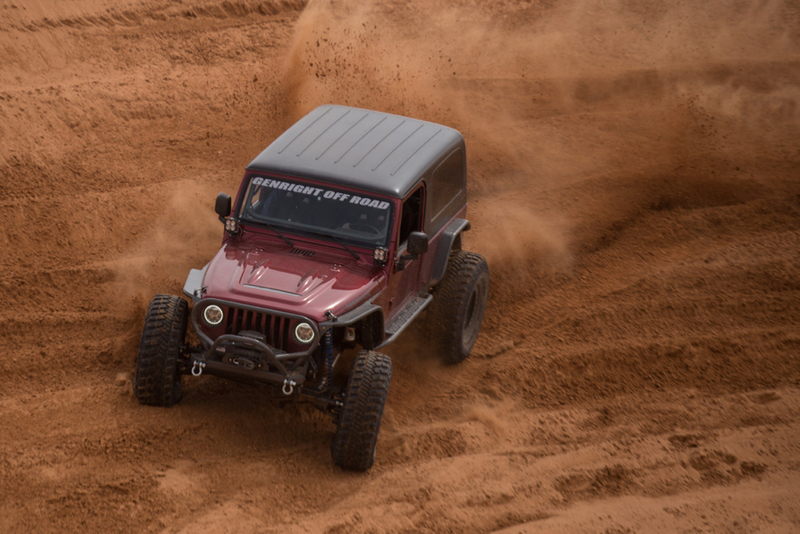 In the end the Maximus Jeep LJ is a stunning and capable GenRight Off Road build.